The polished and brushed chrome collection of household light switches and plug sockets is a stylish addition to any interior design project. With its choice of high polished or brushed chrome real metal back plates, this chrome range works well in all design settings. Within this range is a full collection of matching electrical fittings including TV and telephone points, cooker points, fused spurs and data points etc. 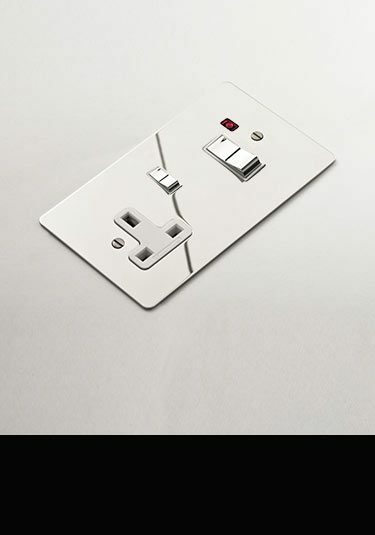 Full range of polished chrome and brushed satin chrome plug sockets and complimentary electrical fittings. Made in Britain. 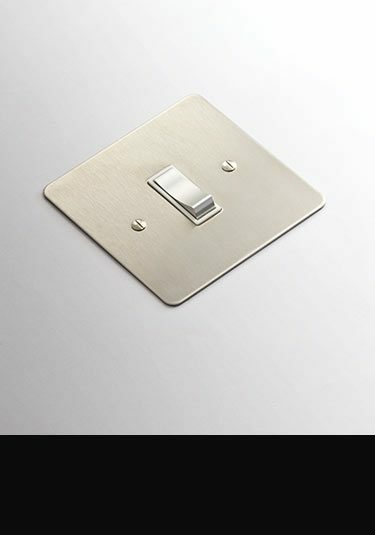 British manufactured designer light switches with brushed chrome or polished chrome finishes with a choice of toggle, rocker and dimmer switching. 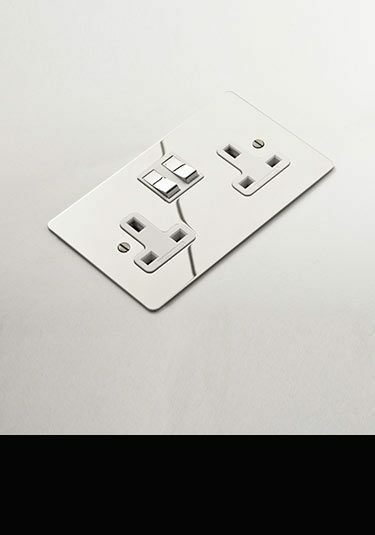 Lovely quality sundry electrical fittings available in chrome or a brushed chrome finish. Each electrical fitting has a flat solid metal backplate which really shows the quality. Included within this chrome collection are telephone, TV and satellite sockets, fuse spurs and data points as well as cooker switches. Made and designed in Britain.